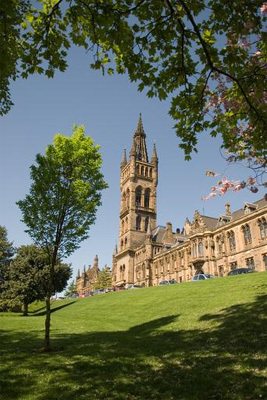 The Suicidal Behaviour Research Laboratory (SBRL) at the University of Glasgow is led by Professor Rory O'Connor PhD CPsychol AFBPsS FAcSS, the Past President of the International Academy for Suicide Research and one of the Vice Presidents of the International Association for Suicide Prevention. Rory has a long-standing interest in suicide research (for more information, see a profile here). He has been conducting research into suicide and self-harm since 1994 and he established the SBRL (originally named SBRG) in 2003. It has an international reputation for conducting high quality, theoretically-grounded and innovative research and it is the leading suicide and self-harm research group in Scotland and one of the leading groups in the UK. The SBRL also has strong national and international research links and it is always keen to develop new collaborations to advance the understanding and prevention of suicide throughout the world. The aim of the research conducted within the group is to apply theoretical models derived from different areas of psychology as well as from the social sciences to enhance our understanding of self-harm and suicide. We work with many different stakeholders with an interest in suicide and self-harm research and prevention including academics, practitioners and policy planners. We have a highly regarded track record of working collabora­tively across disciplines, both nationally and internationally. Most of the work within the SBRL is as a result of these collaborations and it is conducted by faculty, postdoctoral and graduate staff. Our research has been funded by a wide variety of sources including Medical Research Council, Economic and Social Research Council, British Academy, Chief Scientist Office, GL Assessment, Joseph Rowntree Foundation, Leverhulme, NHS, MQ Research, Nuffield Foundation, Royal Society, Choose Life, UK and US governments. We do not provide a treatment service or advice for those in crisis. If you are in crisis or feeling suicidal we urge you to seek help from your GP, a key worker, or family and friends. You can also contact helpline services such as Samaritans (116 123), NHS24 (111) or, if you are in Scotland, Breathing Space (0800 83 85 87). Please click here for a more comprehensive list of support organisations. Follow us on Twitter - if you would like to receive our news and updates (together with other observations). All views expressed are my own and not those of University of Glasgow.